Lauren Bann joined with Louise Devlin (Oakfield), Jaspreet Sagoo (Oakfield), Rhiannon Easton (Noak Hill) and Alex Body (Mayflower) to form the Essex County Junior Team competing at Tolworth in Surrey in the SCAS Inter-county shoot against 5 other counties from the South East. Shooting a Bristol IV round, Lauren started in strong form, scoring 206 from her first dozen arrows. 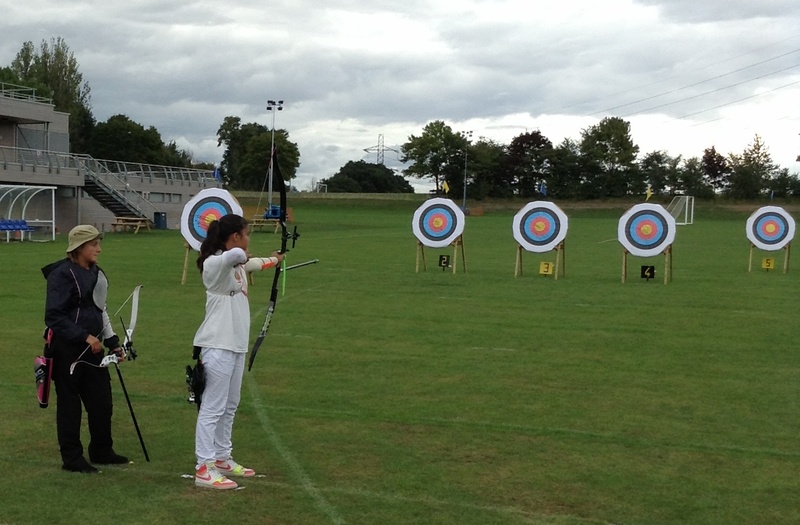 Unfortunately the weather turned against the archers, with increasing wind and frequent showers. Lauren held firm, though, and despite having only half an hour allocated for lunch to refuel, she finished with a great score of 1214. When the team scores were totalled (each team’s top 4 scores were added together), Essex had won the tournament by the slimmest of margins: 1 point! To top the victory, Lauren was the highest scoring Junior recurve shooter on the day. The recurve success spilled over to the Essex Compound Junior team who also won their competition, adding to a fantastic day for Essex Junior archers! Well done to Lauren and the rest of the team(s) for their stellar performances! This entry was posted in Announcements, Competitions, County, Juniors, SCAS by eljetico. Bookmark the permalink.